If you have somehow managed to never eat at Grins during your time at Vanderbilt thus far (freshmen, you’re excused) you should change that ASAP. Tucked inside the Hillel, Grins is the perfect place for vegetarians and non-vegetarians alike. Whether you are grabbing an early morning breakfast, standing in line during the afternoon lunch rush, or picking up dinner to go, Grins is one of the best meal plan choices at Vandy. For breakfast, check out the daily quiche specials. From the tomato, mozzarella and basil to the mushroom and parmesan, you can’t go wrong – especially if you ask for a side of the veggie sausage to add to your already amazing egg-filled meal. Who doesn’t love a little pastry and a little protein for breakfast? Now, onto lunch and dinner options. 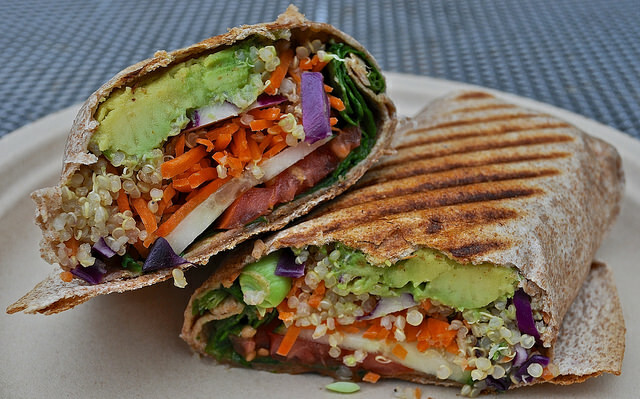 There is the superfood wrap, loaded with quinoa, avocado, edamame, carrots, spinach, tomato, cucumber and red cabbage, which is always a classic. You can get that with either a miso dressing or an herb vinaigrette – choose whichever fits your fancy. Also, if you are a goat cheese person like myself, you can ask them to add some (among other cheese options) which makes for a great, creamy addition to the already perfect wrap. Also, if you are laying off the carbs you can ask for the superfood “unwrapped” (also known as a salad). 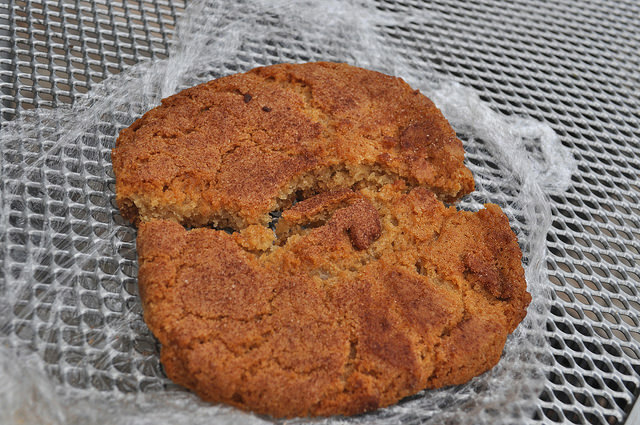 If you are opting for a sweeter dish, you won’t regret ordering the apple PBG. 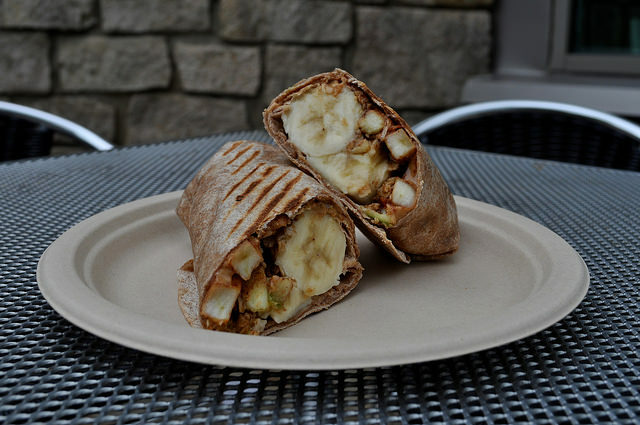 A wheat tortilla grilled with spiced green and red apples, bananas, peanut butter and honey flax granola with a side of vanilla yogurt dipping sauce makes for a peanut butter lover’s dream. It has the perfect balance of creamy and crunchy and is a great way to end a long day of studying. Honestly, no matter what dish you get, you are sure to leave satisfied. With its assortment of options for sides, specials, and Bongo Java vegan cookies, Grins is definitely one of the best places on campus and one of the best vegetarian restaurants in Nashville. Stay tuned for next week’s campus dining edition! Hours of Operation: 8am-9pm Monday-Thursday, 8am-3pm Friday, Closed Saturday and Sunday.